Phosphorus! Excessive amounts of phosphorus were causing nuisance algal blooms and the associated symptoms of poor water quality. 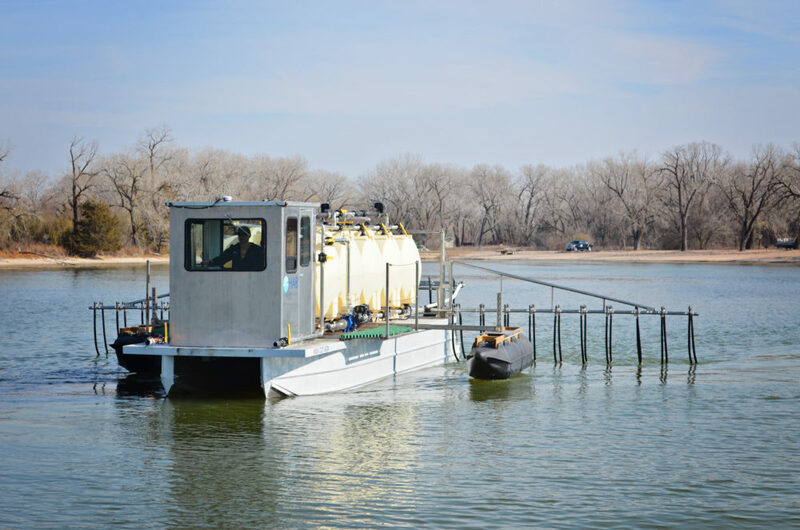 An environmentally-safe alum formulation was added to the lake in May, 2007 to control internal phosphorus loading, resulting in less algae and better water quality. This approach was not toxic to the algae, but rather reduced the amount of phosphorus available for algal growth by retarding phosphorus inputs.